Are you new to the Mt. Pearl community? Our dentists are currently accepting new patients. 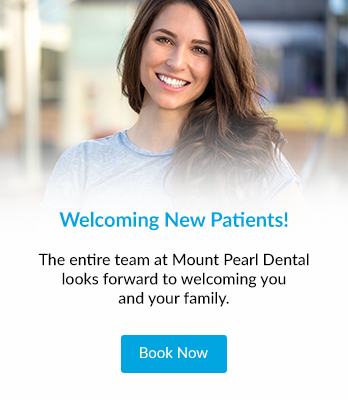 We look forward to welcoming you to our dental family. When you come in for your first visit, we will ask you to fill out a New Patient Form, as well as a Medical Form. We will complete a full oral exam in order to help determine your dental needs and review your past medical and dental history. We will take the time to learn more about your dental health and the goals you have. Understanding what you're looking for will help us develop and create a personalized plan to help meet your needs and expectations. Review your dental history, including any previous dental work that you have had as well as your medical history.